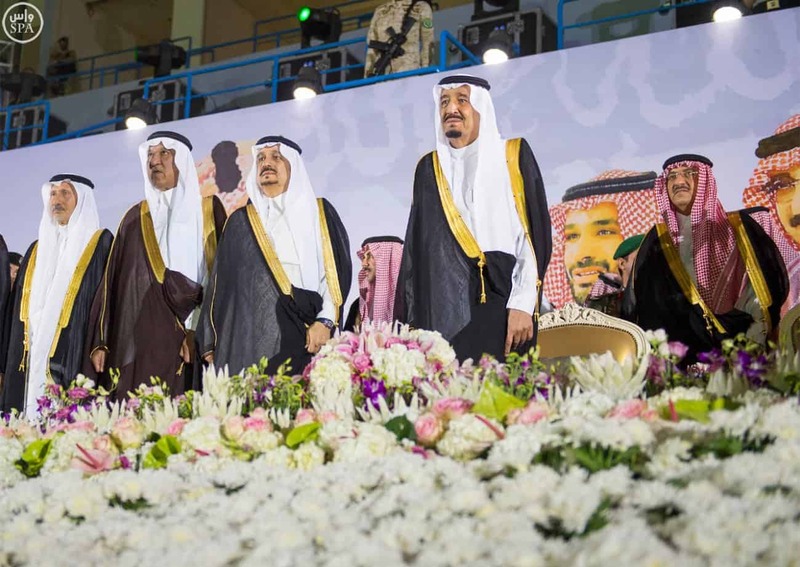 The people of Riyadh held a lavish reception for King Salman at the sports stadium of King Saud University, to honour and celebrate his royal highness and to mark his first 100 days in office. There were many great speeches, in which members of the Royal family and noteworthy citizens expressed their immense loyalty and gratitude for the King’s efforts in protecting his religion, homeland and citizens. Prince Faisal Bin Bandar gave a superb speech in which he praised the wisdom and resolve that have so far been evident in the leadership of King Salman. He observed that the Custodian of the Two Holy Mosques began his reign by making several important decisions that have improved the standing of the country at the regional and international levels.